Check out this adorable Fall card by Stephanie Muzzulin using our wagon and leaves images from the Wagon of Wishes stamp set! I love the fun rustic fall colors Stephanie used on this card - and the twine and bits of sparkle on the leaves give it the perfect finishing touch! Cute card! Love the fun pattern papers! 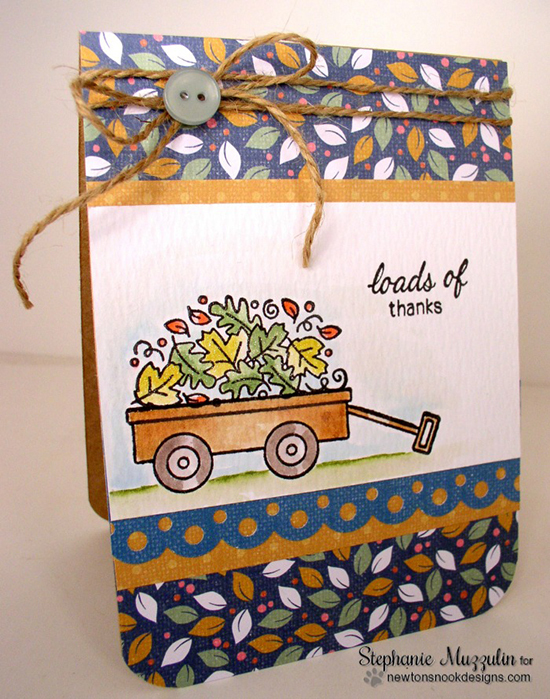 The papers and layout are the perfect background for this adorable wheelbarrow filled with pretty fall leaves. So very charming!